On this walking tour, we take Bowery Boys’ podcasts to the streets, visiting sites where history was made. 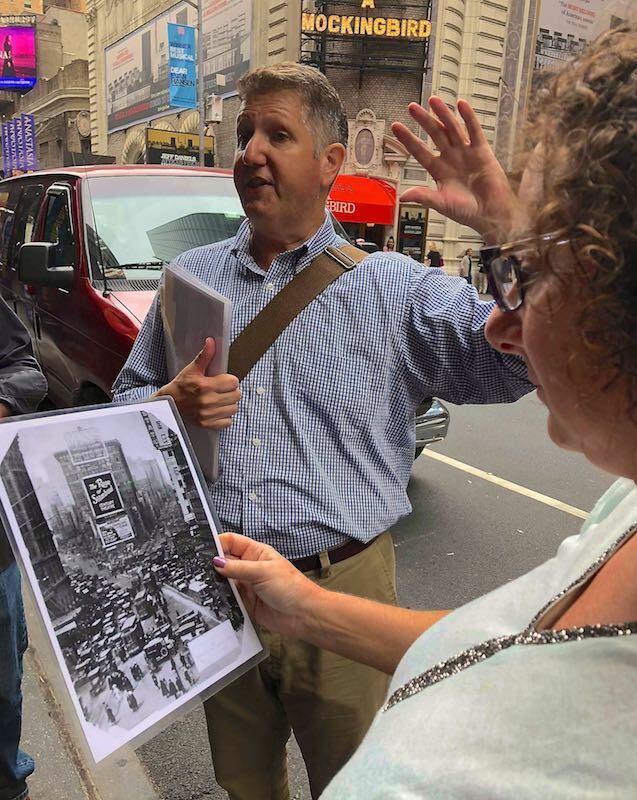 Developed by the Bowery Boys and your guide Jeff, a Broadway insider, the tour traces the history of the Broadway theater while exploring NYC’s famed Theater District. 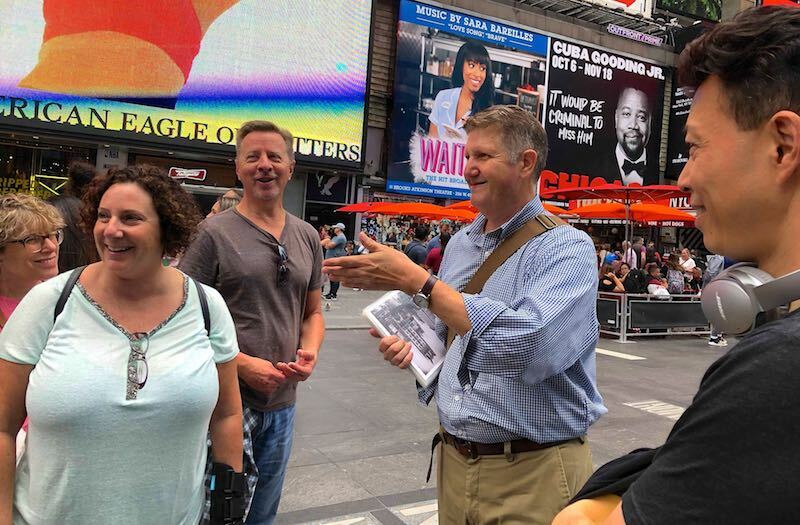 This walking tour is ideal for fans of theater and NYC history, allowing a glimpse behind the curtain of the Broadway scene. Theatrical haunts like Sardi’s, Shubert Alley, and Duffy Square. You’ll hear colorful stories of Broadway’s legendary stars, producers, and shows. You’ll even meet thespians who returned to the limelight from beyond the grave! 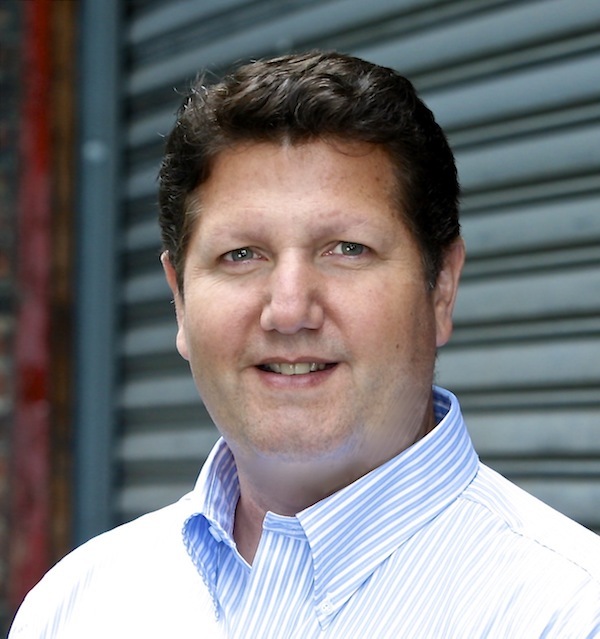 All along the way, Jeff will share information about the Broadway industry and the rise, fall, and renaissance of the Great White Way. Looking to study up before the tour? Check out our podcasts on Rodgers & Hammerstein, Florenz Ziegfeld, and Times Square in the ’70s.